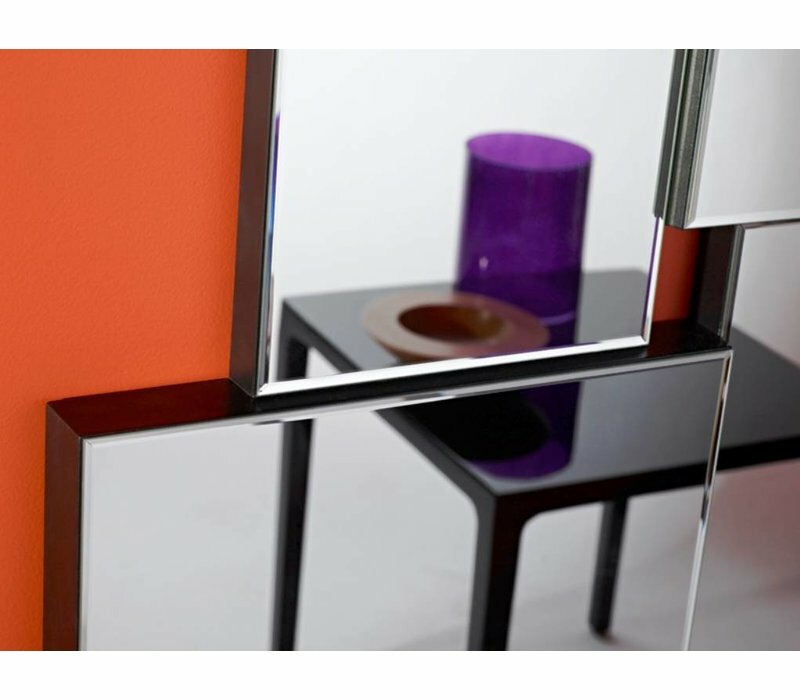 A unique and playful 'Criss Cross' mirror design by Deknudt. Manufactured in Europe. 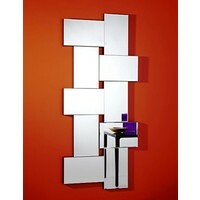 A daring home mirror! 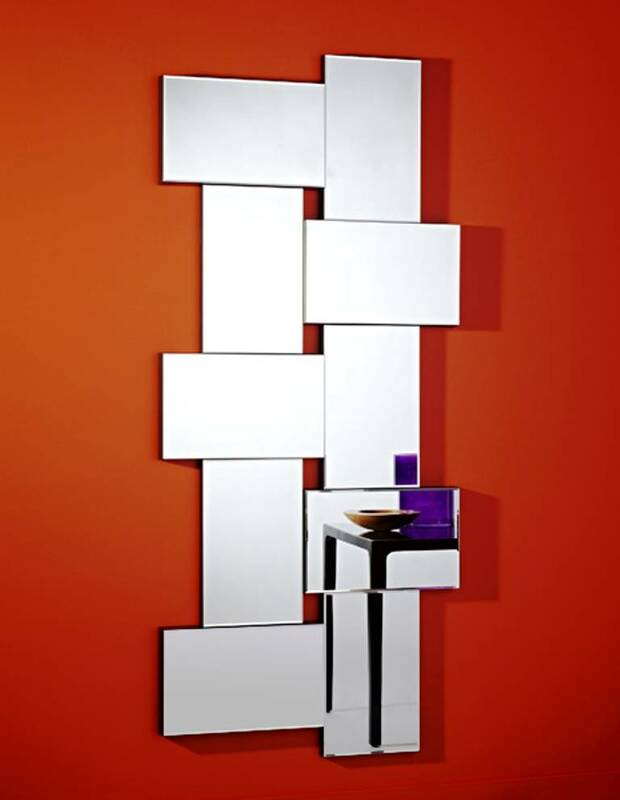 Unique 'Criss Cross' mirror, designed by Deknudt, a is 'puzzle of rectangular' angles. In fact, its a series of identically sized and lengthed mirrors, 'criss-crossed' horizontally and vertically over each other. 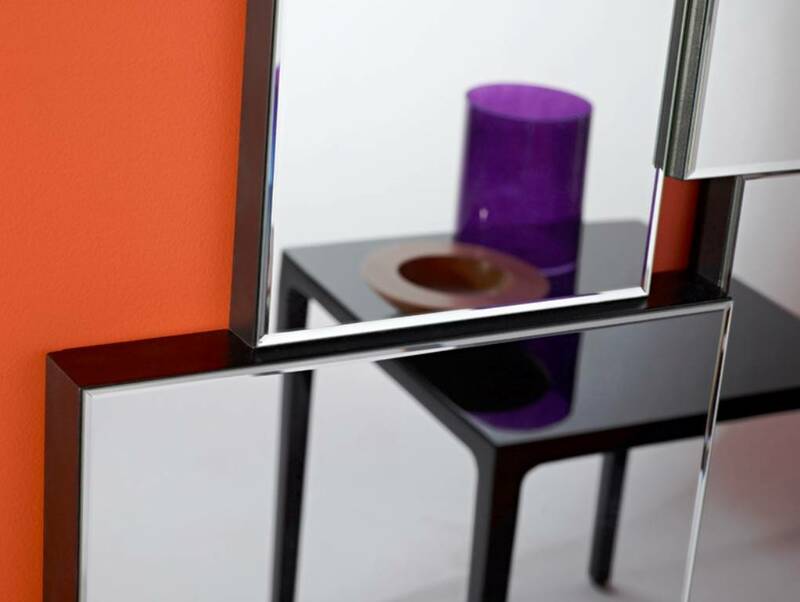 Each mirror is also uniquely beveled to a degree of 5mm. The distance to the wall behind each mirror piece also varies, so one part appears deeper than another. The whole piece is 76 x 171cm, fixed onto a black polyurethane (PU) support. 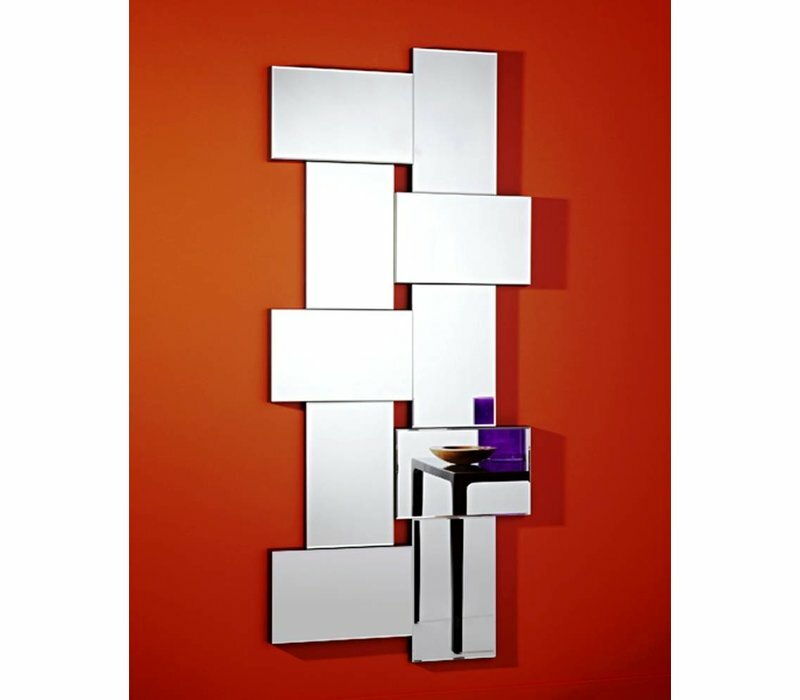 This fun mirror can be hung horizontally or vertically. 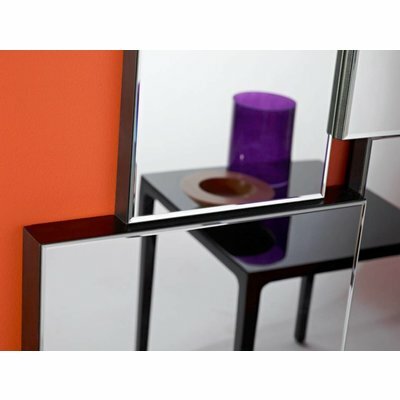 Playful appearance, reasonable price and quality mirrors, go hand in hand with Homka. This Deknudt collection, inspired by the best of what the world offers in mirror making, is selected by their own in-house design team. Manufactured in European factories. Square mirror Disco, by designer Annemie Vanzieleghem, is bevel embossed, giving it a literal 3D effect. Set this lovely eye-catcher in your bedroom, bath or livingroom!